The UT Arlington Police Department reports that the threat has passed. The campus has reopened and normal operations are resuming. The AP Summer will resume at noon. Lunch will be served. Note: Parking passes will be mailed to participants in the first week of June. Download just the registration form. 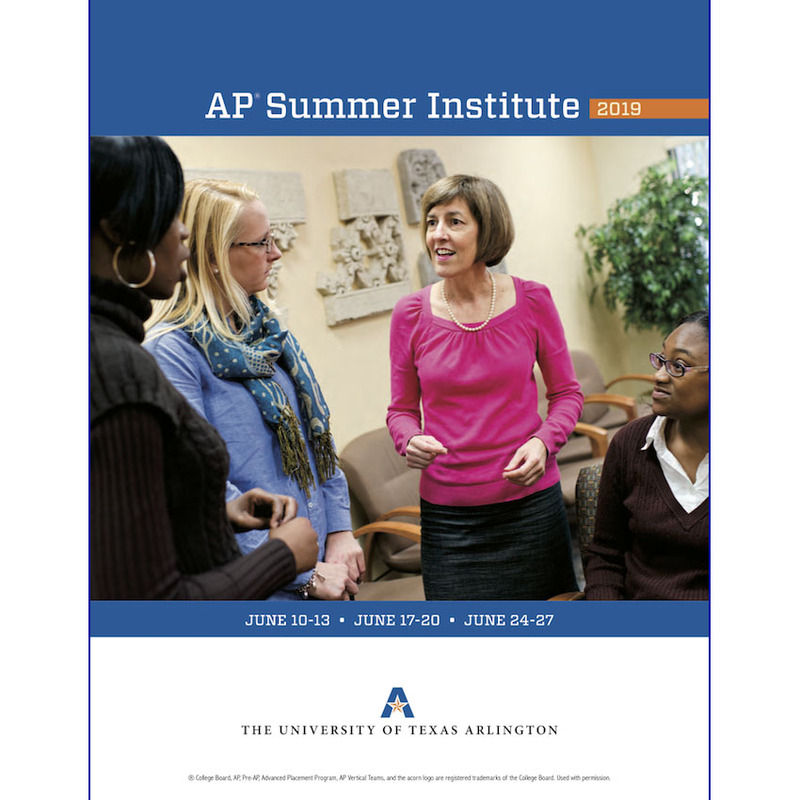 Download just the registration form for AP Capstone. Registration will open on January 25th, 2018. You can download a copy of our brochure by clicking the image to the left. Registration for AP Capstone will open on February 1st, 2018. Certificates will be available by noon the day after your institute. The certificate will be emailed to you and available in the participant online area up to the end of September. June 17 – 21, 2019 and June 25 – 28, 2019.
are registered trademarks of the College Entrance Examination Board. Used with permission.